This special price is only available to FORMED parishes and must be ordered in increments of 5 study guides. Shipping and handling is not included for orders of 5, 10, or 15 study guides. Free shipping on orders of 20 or more! Free shipping is available to US parishes only. Orders that qualify for free shipping cannot be placed through this website. Please place your order of 20+ study guides with your local Parish Consultant, or call 866-767-3155. 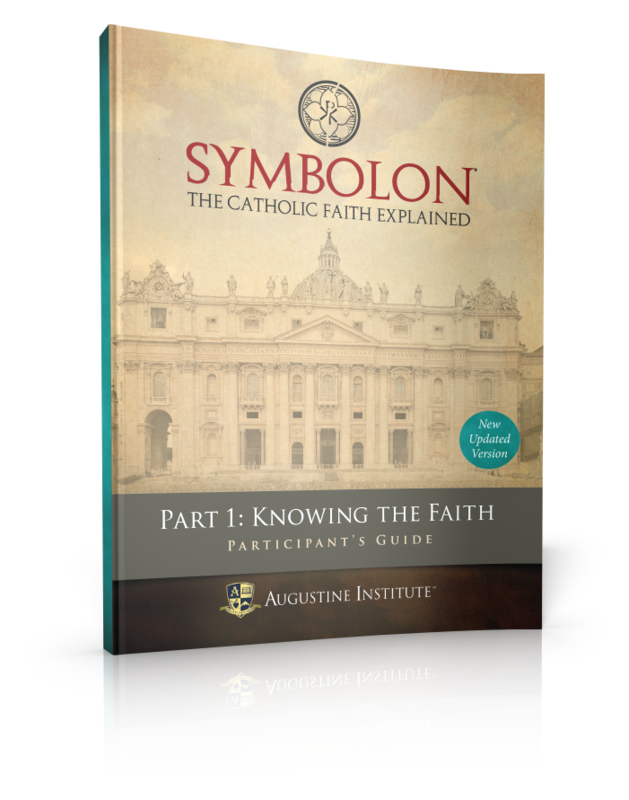 This guide for Part 1 of Symbolon: The Catholic Faith Explained is the key for helping participants apply what they learn about their faith to their daily lives. Full-color sacred art draws people into the beauty of the Catholic Faith. Quotes from Scripture, the saints and recent popes deepen their understanding of the Church’s teachings. Engaging discussion topics and reflections inspire participants to give their lives more to Christ and provide practical life application. 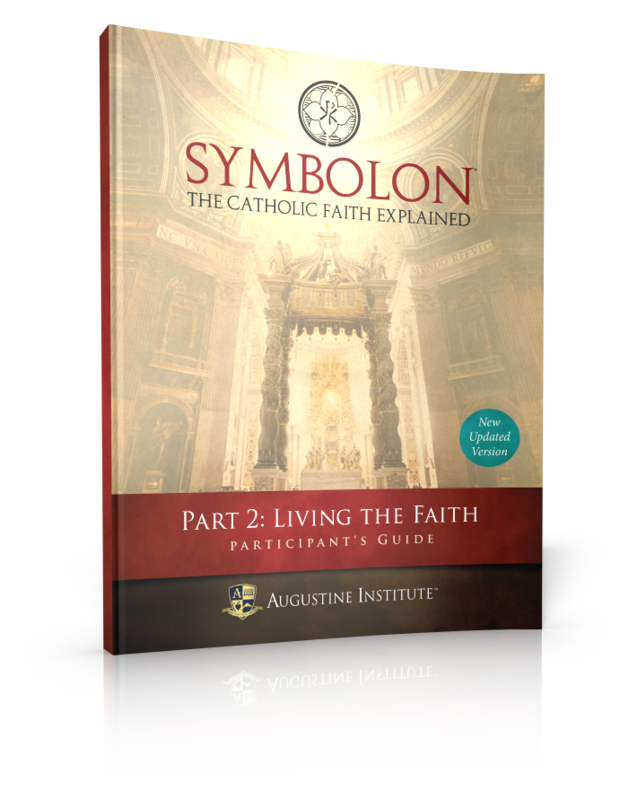 This guide for Part 2 of Symbolon: The Catholic Faith Explained is the key for helping participants apply what they learn about their faith to their daily lives. ¿Acaso el Bautismo es un rito tradicional, un símbolo importante, una excusa para celebrar la llegada de un bebé con una foto familiar? ¿Qué tal si algo más estuviera sucediendo en el Bautismo de lo que puedas saber? ¿Qué tal si la vida espiritual de tu hijo, su felicidad y su futuro dependiera del Bautismo? Renacer te guía a través de la relevancia del Sacramento del Bautismo, profundizando en la realidad espiritual para cada uno de los que participan en este momento tan especial del niño. Verás el contexto del lugar profundo que tiene el Bautismo en las Escrituras y en la Tradición, así como una exploración paso a paso del rito en sí. Cada momento, cada palabra, cada acción revela la esencia del amor de Dios. 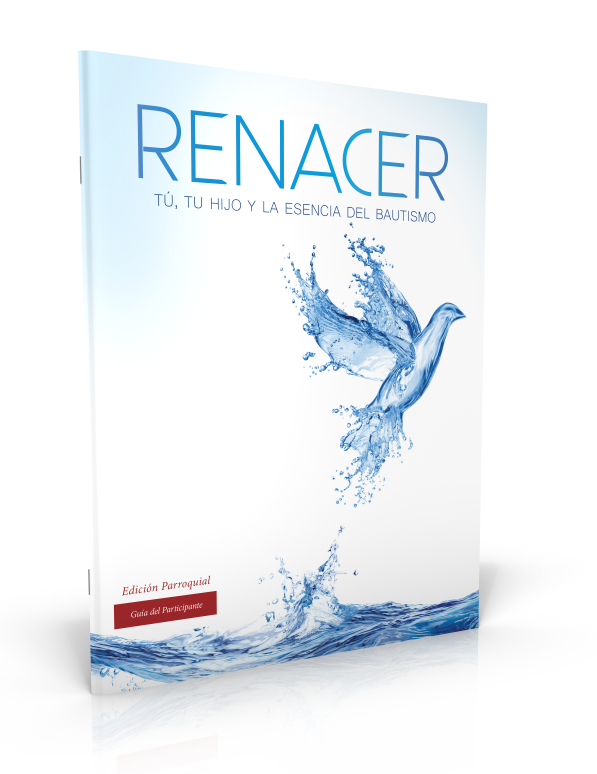 Beautiful, compelling and enlightening, Reborn: You, Your Child and the Heart of Baptism is the ideal tool to educate and inspire Catholics at church or at home. 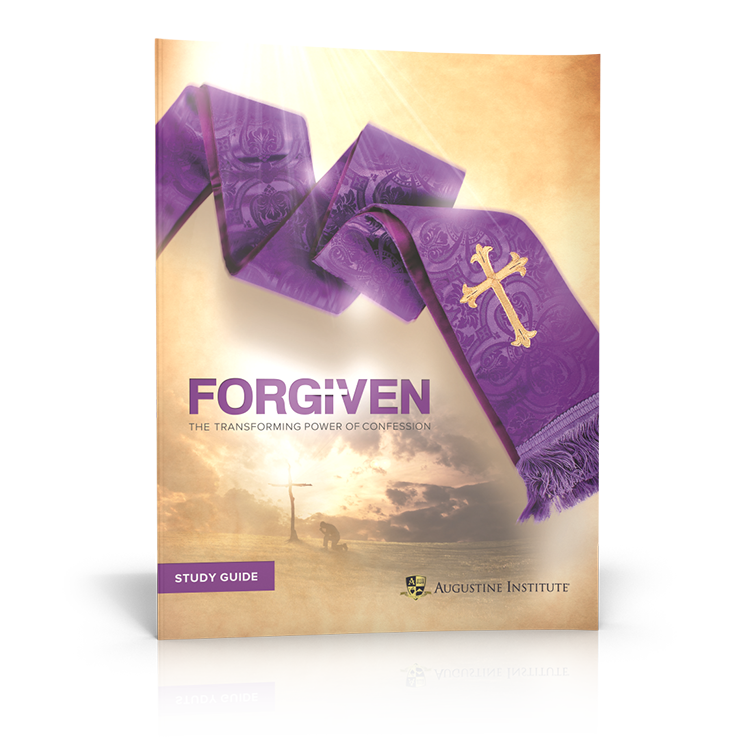 Forgiven: The Transforming Power of Confession provides the Church’s teaching about the Sacrament of Reconciliation, including a practical “walk through” of what happens in the confessional and how every moment connects to Scripture, Catholic Tradition, and God’s passionate desire to be with you. This 50-page Study Guide teaches you to participate more fully in the Sacrament of Confession, and provides time-tested tools and advice to make your experience of Confession a life-changing encounter with God’s healing mercy. Dr. John Bergsma is an Associate Professor of Theology at Franciscan University of Steubenville, and was a Protestant pastor for four years before converting to the Catholic Church. 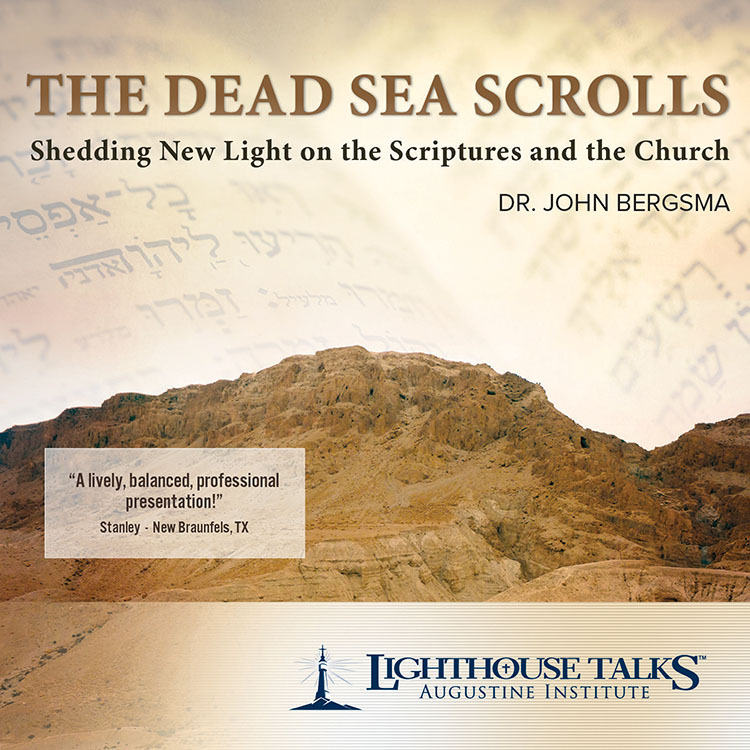 In this enlightening talk, Dr. Bergsma shows how our respect for the traditional canon of Scripture, as well as our understanding of the Catholic Faith, can be greatly enhanced by the Dead Sea Scrolls- the greatest archaeological discovery of all time. You’re in love. You’re reasonably compatible. There’s a thrill and romance you enjoy. You want to spend the rest of your lives together. Getting married seems straightforward enough. But . . .
What if the Sacrament of Marriage is more than that? What if God has woven into the very design of your humanity a purposeful need and desire to unite you with another, creating something mysterious and holy? What if your marriage is designed to be a vital part of God’s work in the world? In twelve sessions, Beloved explores the true meaning of Marriage and how to live it out together. Here you’ll discover the deepest spiritual, emotional, and practical realities of marriage through Scripture, Tradition, and Church teaching. You’ll see firsthand how to experience the wonder, mystery, and joy of this sacrament—from that first “I do” through the rest of your lives. 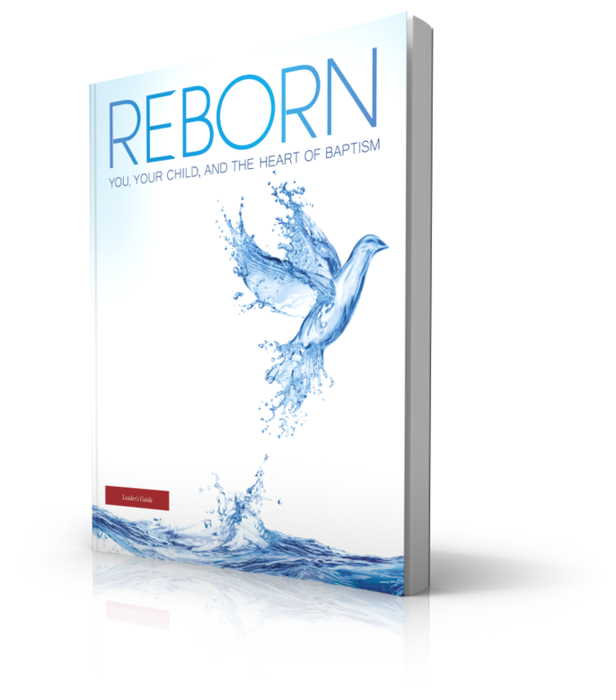 Beautiful, compelling, and enlightening, Reborn: You, Your Child and the Heart of Baptism is the ideal tool to educate and inspire Catholics at church or at home. 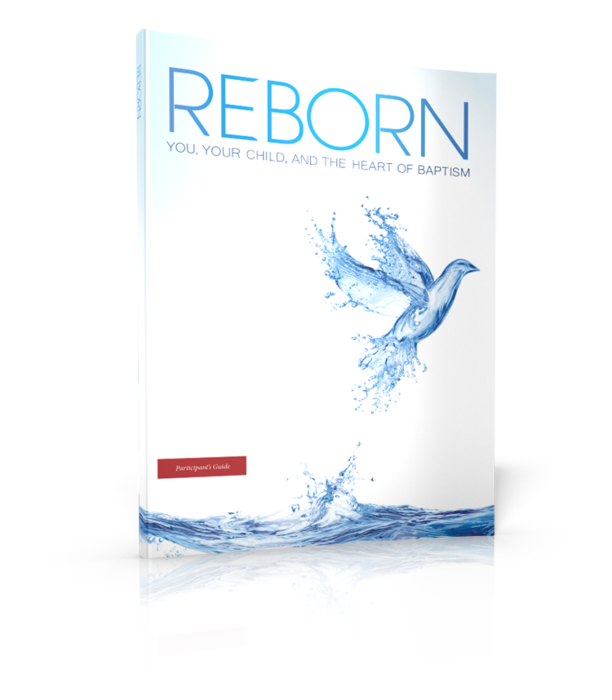 Turn your Baptism Preparation into an opportunity for transformative evangelization with the supplemental materials for Reborn. 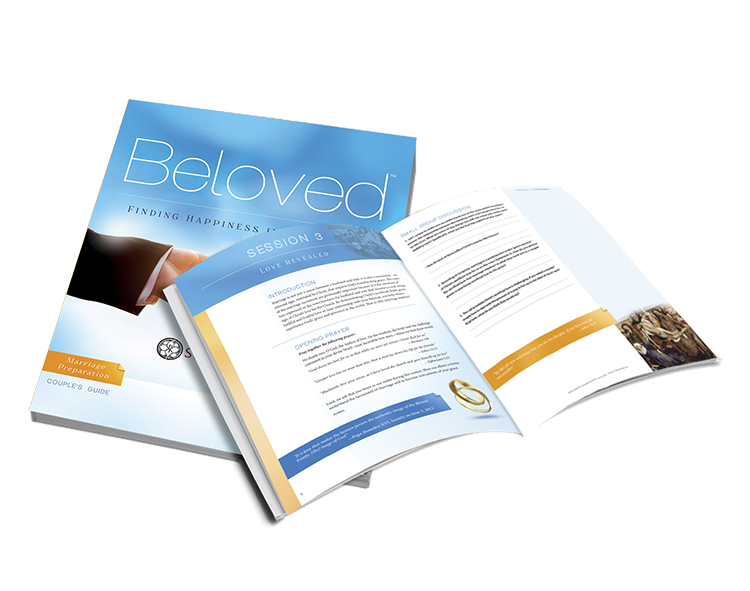 This Leader Kit includes a 6-DVD Parish Edition Set, a comprehensive Leader Guide, and a Participant Guide. 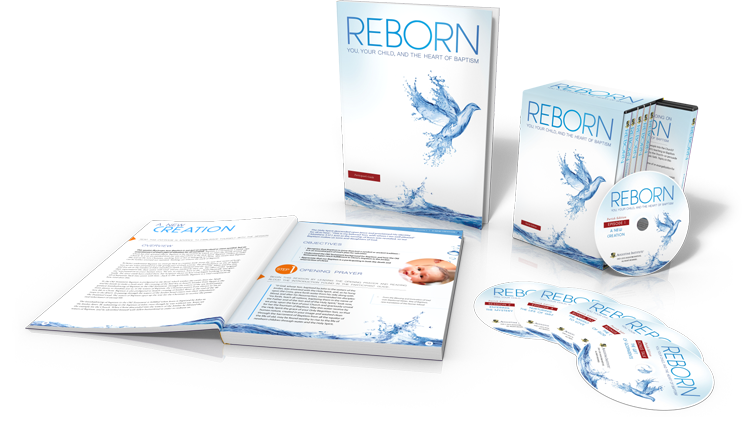 The Reborn (Parish Edition) is a new six-DVD video series that explores the true meaning of Baptism through Scripture and Catholic Tradition. Including practical preparation for Parents and Godparents, Reborn goes through the Rite itself to illuminate the significance of every phrase and action, and includes the many ways to nurture the spiritual lives of the Baptized.